LatinaLista — The recent study by the Journal of the American Medical Association revealing that efforts to reduce childhood obesity were working was offset by the disappointing news that the other end of the age spectrum now warranted attention. The study found that women 60 years and older are getting fatter. Their rate of obesity rose from 31.5 percent to 38 percent over nine years. That’s bad news for Latinas. It’s already documented how obesity aggravates or triggers a host of different health problems no matter the age. Compounding that realization is the fact that too many Latinas don’t visit their doctors regularly and when they do, they may not be receiving the kind of news that can save their lives. 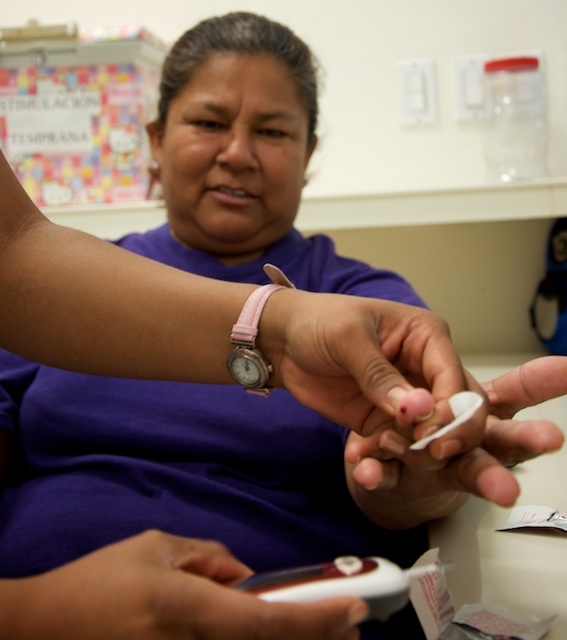 According to researchers at New York University, 5.5 million Latinas are at risk for diabetes, pre-diabetes, or are borderline for diabetes but almost 4 million have never been told by their healthcare providers. Part of the problem is that the women weren’t screened for it. Researchers suggest that given the propensity for Latinas to develop diabetes not only should screenings be a part of regular health check-ups but they should be available in more places. From churches and dentist offices to pharmacies and eye doctor offices, alternative sites where women can receive diabetic screenings is needed to combat the anticipated rise of the disease in Latinas. “Unfortunately, adults with undiagnosed pre-diabetes and diabetes are denied the opportunity to receive support and treatment to avert the onset and progression of serious diabetes-related complications,” said Shiela M. Strauss, associate professor of nursing at New York University. Previous Post Study shows Hispanic Adult Millennials who drink, do it for fun. Study shows Hispanic Adult Millennials who drink, do it for fun.